The new WD-4 Wide Angle Conversion Dome provides all of the benefits of a dome port underwater without the limitations. The WD-4 simply slides onto the standard port of the Ikelite housingâ€” no modification to or replacement of the housing's original port is necessary. 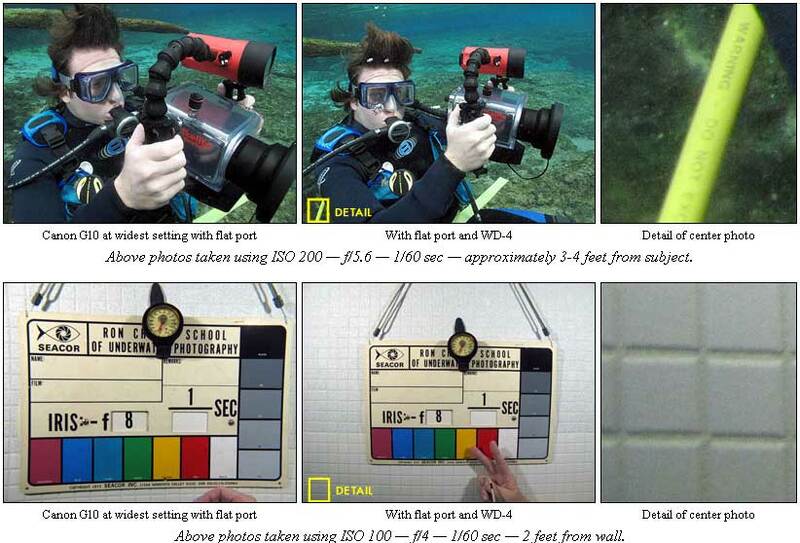 The WD-4 can be removed and replaced underwater so there is no limit to the camera's zoom or macro capabilities. 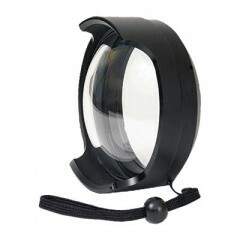 Approximately 3/4 of the camera's zoom range can be used with the dome in place. 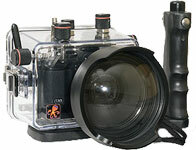 The conversion dome corrects for the refractive magnification of the flat port underwater to restore the camera's original angle of coverage. For example, the WD-4 and Canon G10 combination provides 28mm angle of coverage with incredibly crisp corners. In comparison this option is effectively as wide as and sharper overall than a housed Canon G9 underwater with external wide angle lens.